Much of the knowledge of die making is never recorded, except for a small amount handed down. New people learning these skills will have to learn by starting from scratch and falling into the same pitfalls of inexperience that others have fallen into before. The only way to climb out of these canyons of inexperience is by building a mountain of scrap from the years of learning by trial and error. 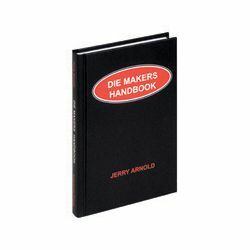 Written, illustrated, and edited by an experienced die maker, this book is a compact, easy-to-use reference. Most of its very practical content was learned on the job, and it has been expressly prepared to help avoid the pitfalls associated with stamping designs, die designs and stamping die function. With numerous illustrations, this book is especially designed for advanced apprentices, journeymen and students of tool & die design.